Combined Windows Phone and Windows 8 app store for early 2014? 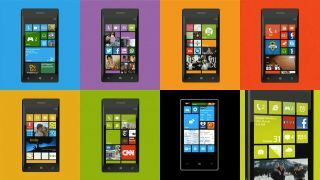 Windows Phone and Windows 8 users could soon be shopping for apps from the same place after Microsoft execs seemingly confirmed the new unified app store at a private meeting. Cnet reports that the unified shopfront is likely to go live in the next version of Windows 8.1 slated for release in spring 2014, although a second source said there was no date in the calendar yet so don't get too excited. The unification of the app stores makes sense alongside Microsoft's new 'One Microsoft' strategy, and multiple Microsoft staff members have been hinting at it for some time. A single app store would not only be handy for users, it would make life easier for developers too although its not clear whether Microsoft has plans to ensure that apps work on every platform or if there'll be separate departments for tablet, phone and desktop apps. One thing a combined app store will do is give Microsoft a general boost in the app quantities department. As well as Windows 8.1, there are reports that Windows Phone 8.1 will launch in early 2014 alongside the new app store. Stay tuned for more.